For this month's member interview I chose to interview myself. :So here is a little about me. 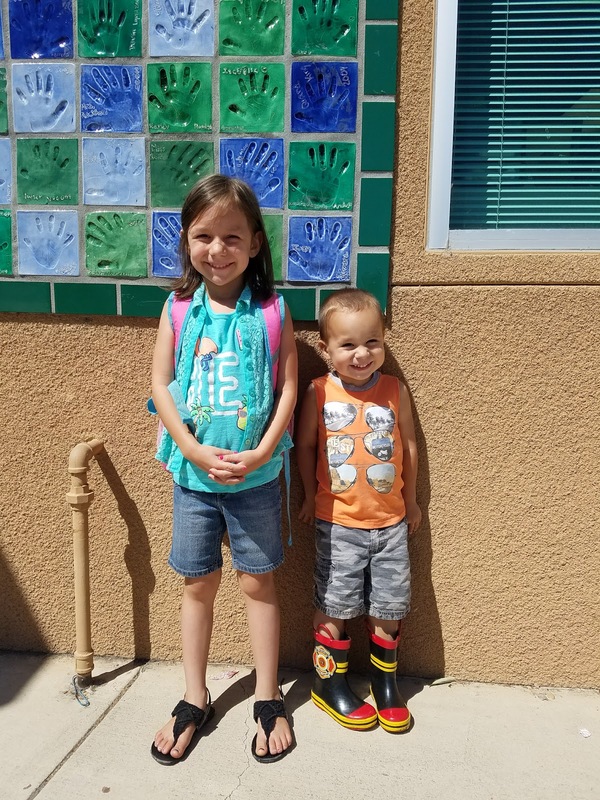 My name is Angelica Jones and I'm a stay at home mom to 6 year old Isabel and 3 year old Diego. My husband Jesse and I have been married for 12 years. We love to enjoy vegan food, wine and local beers. 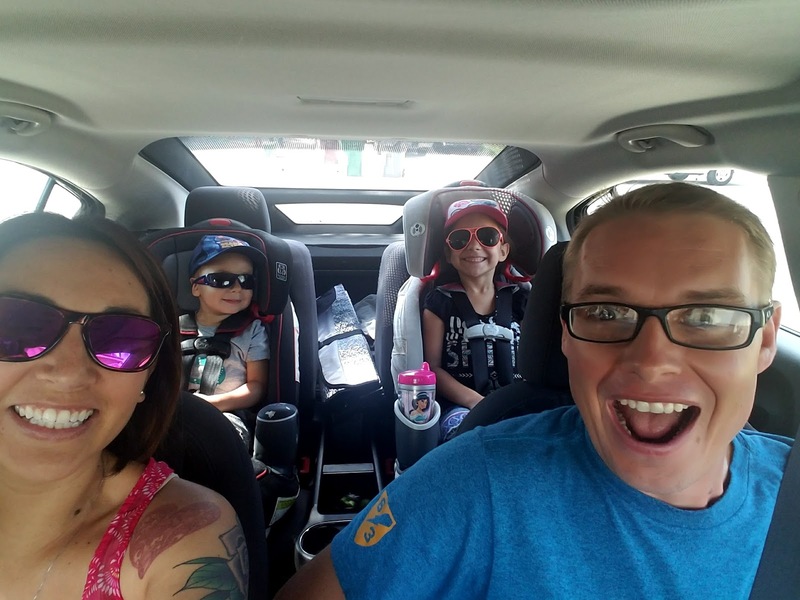 Our family likes to go on trips to the desert, the beach and the mountains in the winter (oh the perks of living in Southern California!). 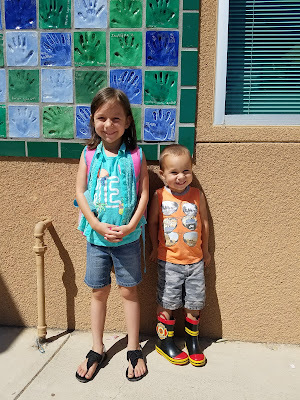 I was born in San Diego and moved here when I was in 5th grade. 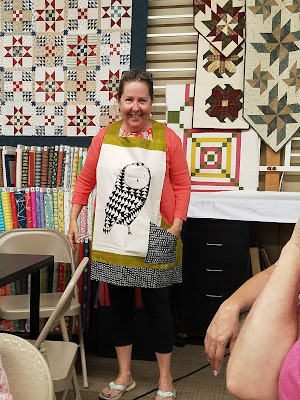 I have been quilting for about 5 years and sewing for 6. When I'm not sewing or spending time with my family I also enjoy reading and cooking. My good friend Michelle and I have a vegan food Instagram called @CrazyVeganMamas, on which we like to post yummy local Vegan eats, drinks and recipes. We are currently working on an accompanying blog. I've been a member of the Temecula Valley Modern Quilt Guild since 2016. 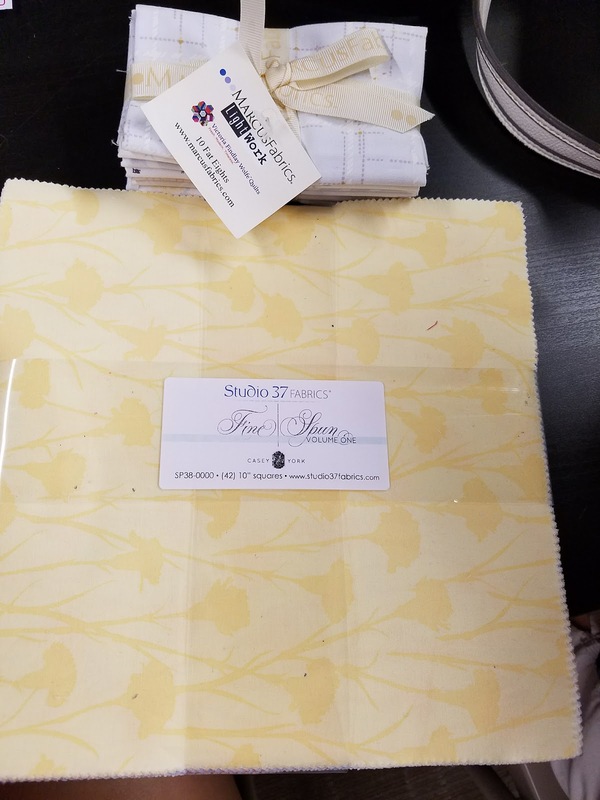 I found about the guild through Sue Stone from Needle in a Fabric Stash. I'm on Instagram as @stitichedconamor. I also run the TVMQG Instagram account @tvmqg and their Facebook page found here. 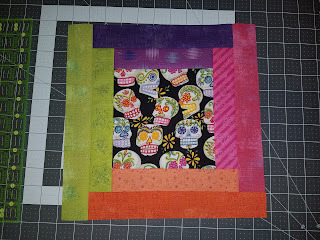 The most current favorite is the Halloween Quilt I'm doing with my fellow CrazyVeganMama friend Michelle. 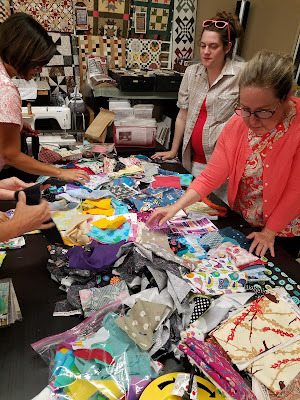 We are working on the same blocks, but in different colors palettes and fabrics. This one is my favorite right now because I tend to give the majority of my quilts away. 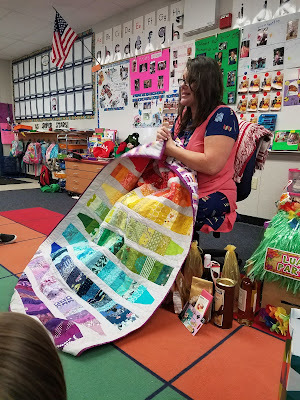 And here is the quilt Michelle and I recently worked on together for our daughters' TK and Kinder teacher. 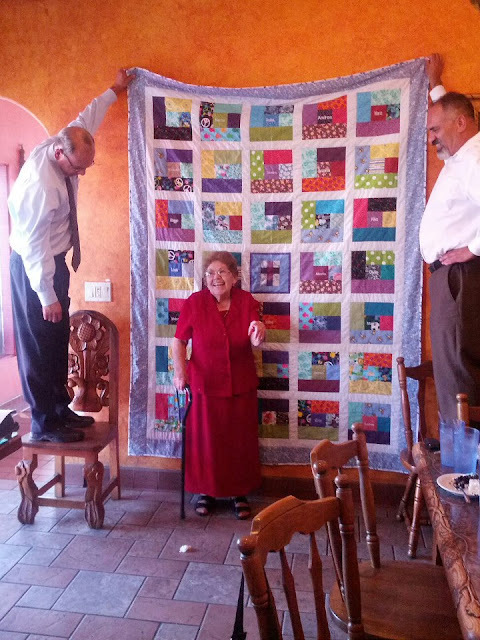 This is an older one I made for my grandmother a few years ago. 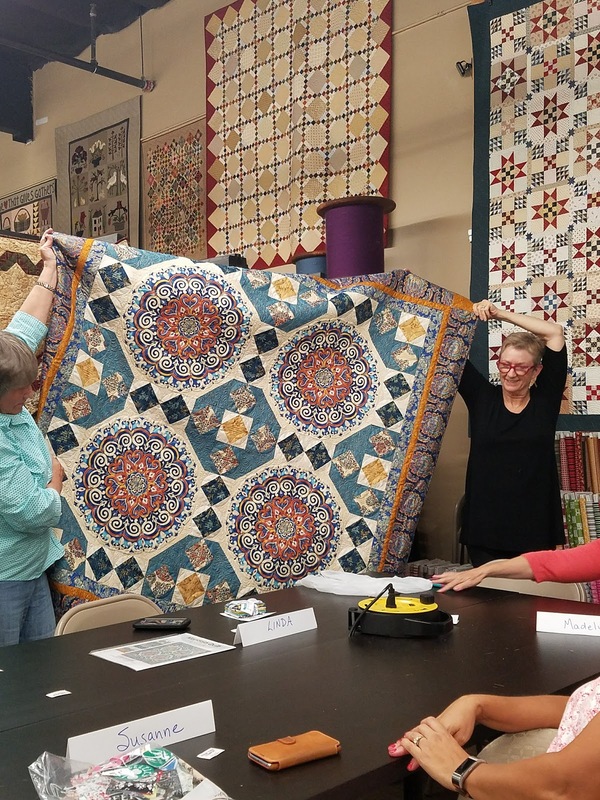 Every member of the family had a square with their name embroidered in the center. 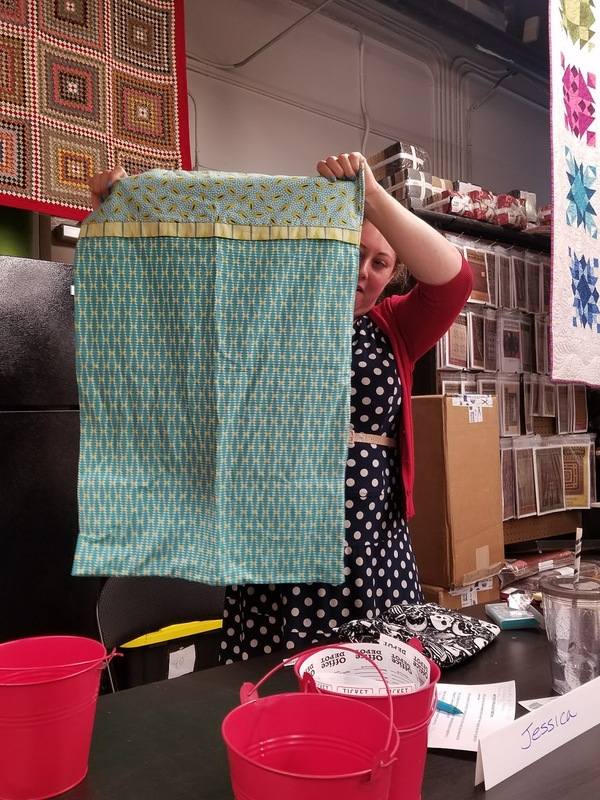 I'm a fan girl of fabric designers Tula Pink (@tulapink), Libs Elliott (@libselliott), and Alison Glass (@alisonglass). 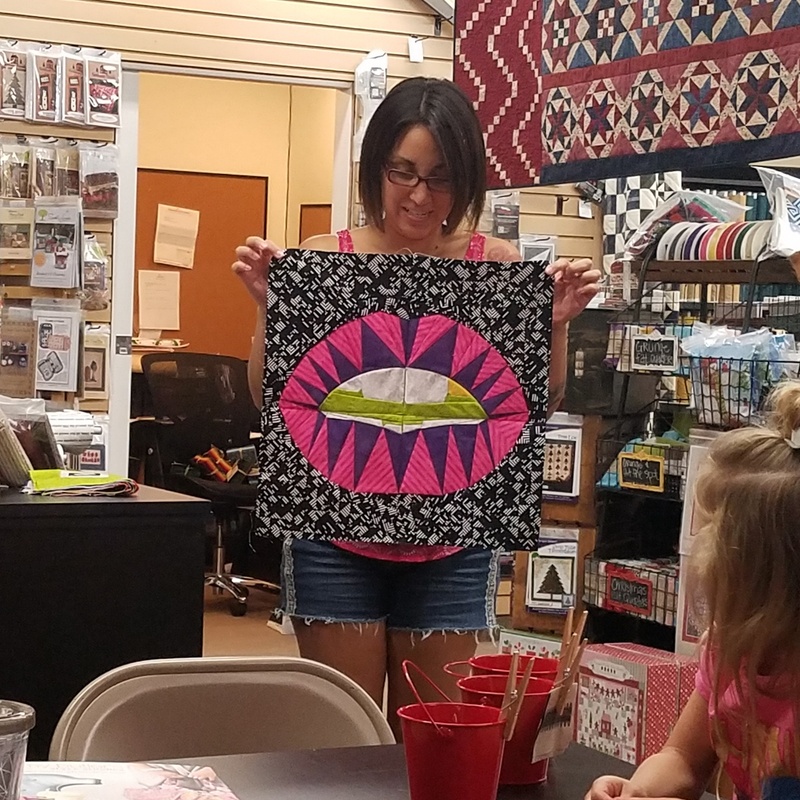 I love each one of them for their bold colors and prints and how you can easily point out their work. They all inspire me to create things that speak to me rather than just what everyone else is doing at the moment. I also love to watch Angela Walters on her YouTube show The Midnight Quilt Show. 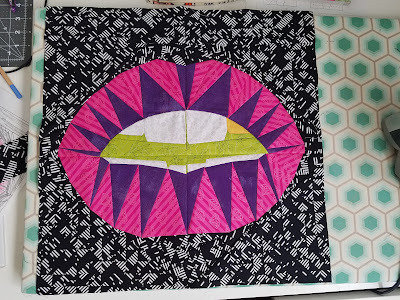 Here's the #hotlipsquilt block by @libselliott I made last month. 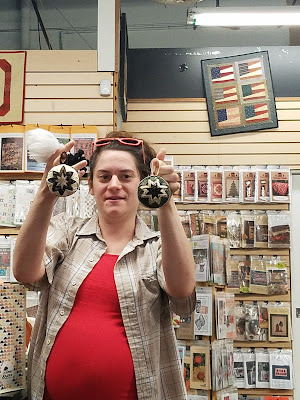 My current favorite collections are Libs Elliott's current line Tattoo and her upcoming line Wild Side, which is set to be released in October. 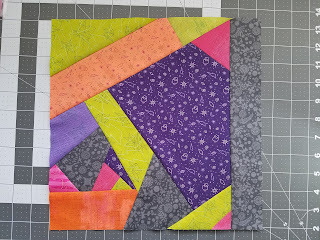 I'm also very excited for Tula Pink's new line Spirit Animal which comes out in September. As a mom of little ones I find it hard to get bigger projects done under deadline, so I haven't entered any of my quilts into any shows just yet. But I do have a designated sewing space in our home office so when I get a free moment I can escape to sew, plan a new project, or simply pet my fabric collection. 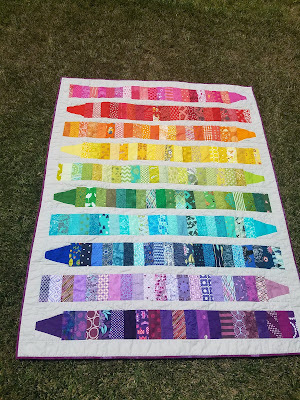 As a little girl I always wanted to sew, but didn't care for the aesthetic of the traditional quilts. 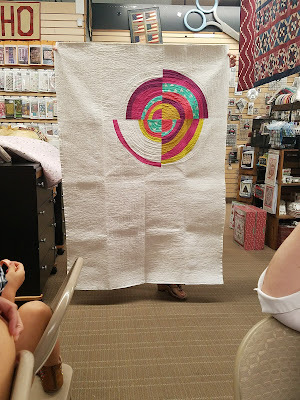 When I discovered the world of Modern Quilting I was ecstatic! 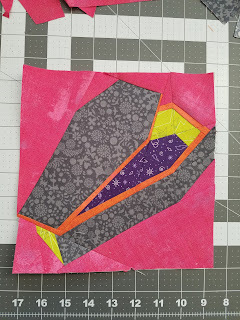 I quickly because a fabric collector and my Pinterest boards were filled with a sewing "To-Do List". I hope to learn more techniques in the near future and to improve on my current skills. Last night's meeting had such a great turnout! We had some new guests and new members. 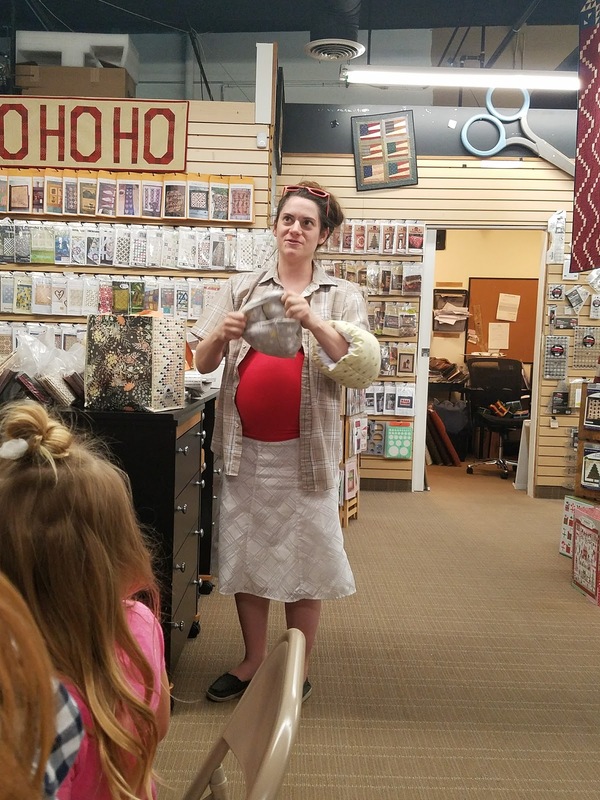 We were missing our President Jan who is in Iceland (but will be returning for next month's meeting) so VP Jessica filled in and led our meeting. 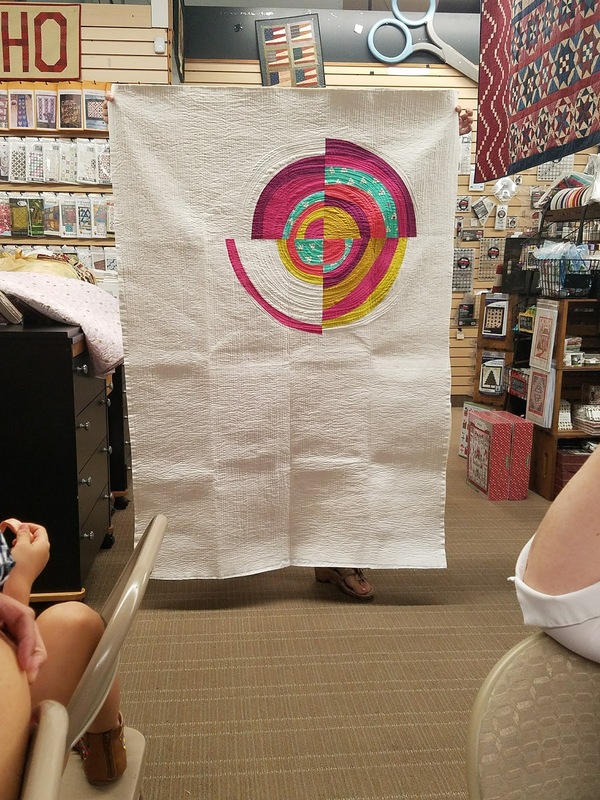 Colleen started off announcements with going over the Modern Quilt Guild Charity Challenge for QuiltCon. 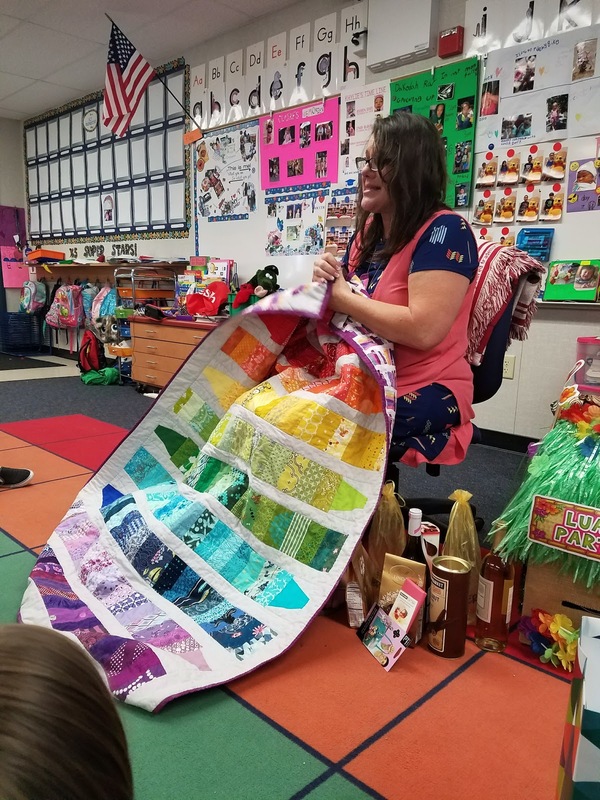 We will have to create a quilt using the color palette which the MQG has picked. This year's theme is "Modern Traditionalism". We are planning a sew day at Colleen's house on Sept 17th. Emails with further details will be sent as the date gets closer. Show and Tell began with Nancy who showed us her "Thicket" panel apron she created (modeled to us by Madeline). 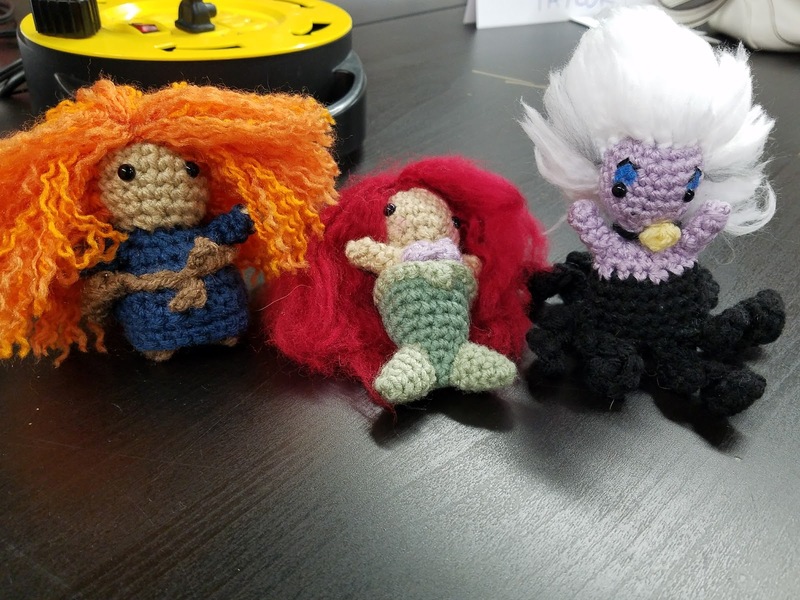 She also made a few extras for her mom and 2 sisters. Linda shared her story of a kit she had bought from Craftsy.com. 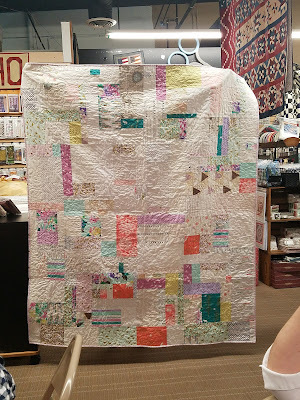 It was more of a panel so she cut it up and added borders to make it bigger and even more beautiful. 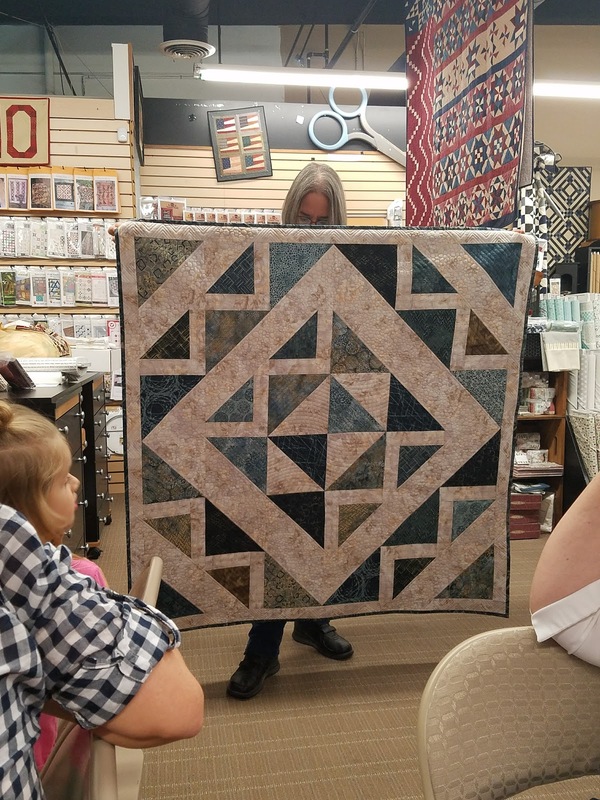 Bonnie made this quilt for herself from a layer cake from Hoffman Batiks. 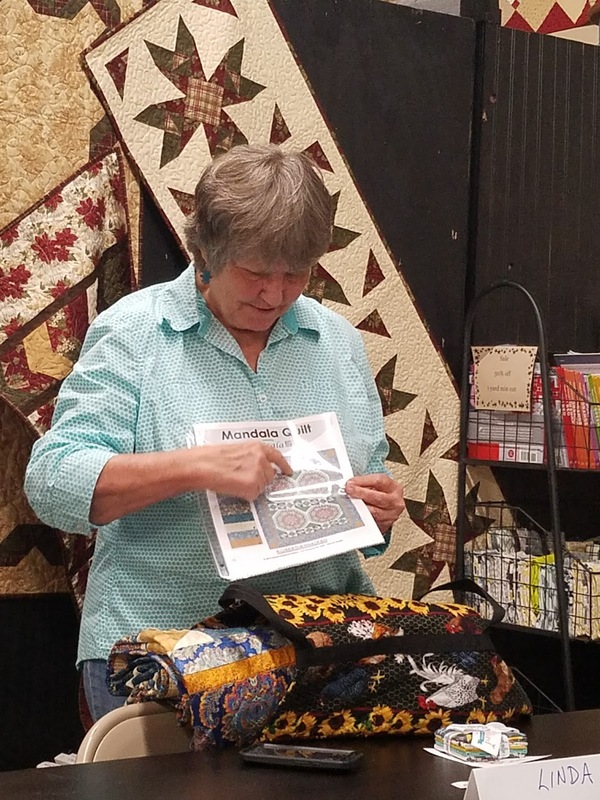 She has a long armed business and did the intricate quilting herself. 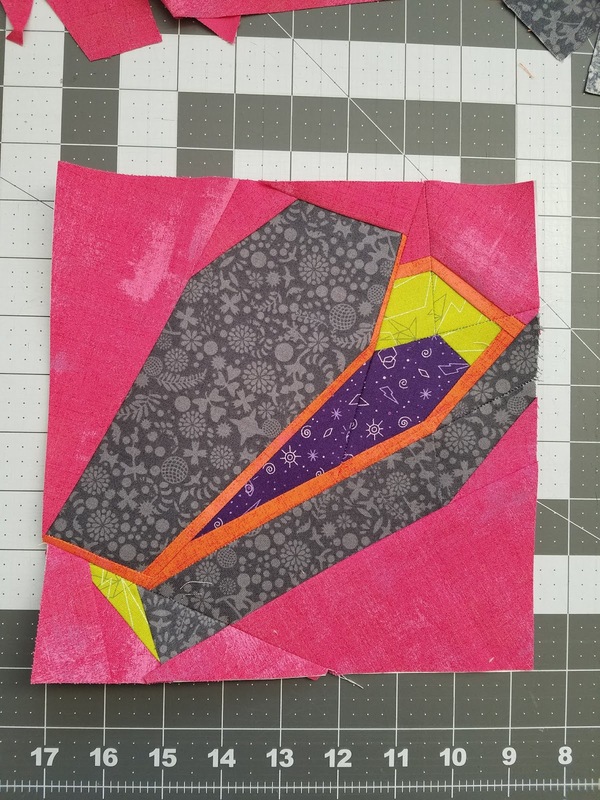 I (Angelica) brought in a mini quilt top called the #hotlipsquilt by Libs Elliott. 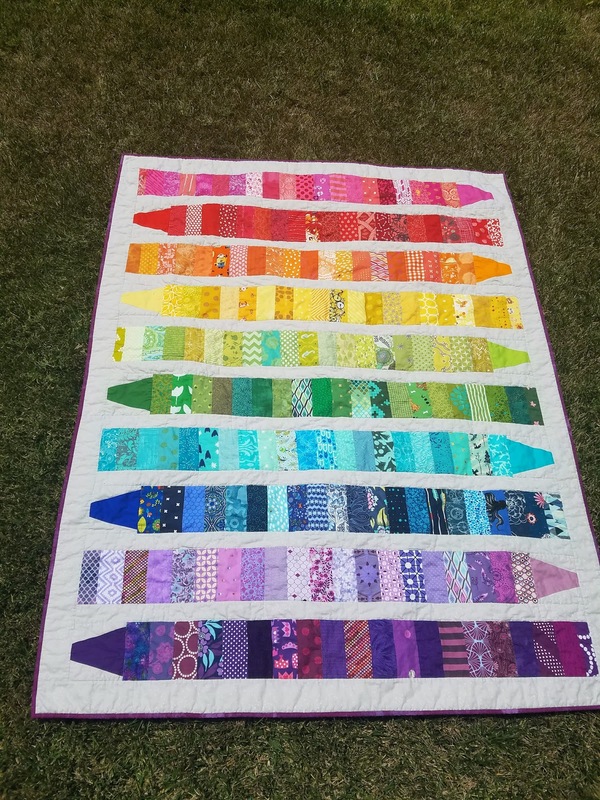 All the fabrics used were from Libs Elliott's lines True Love and Tattoo. 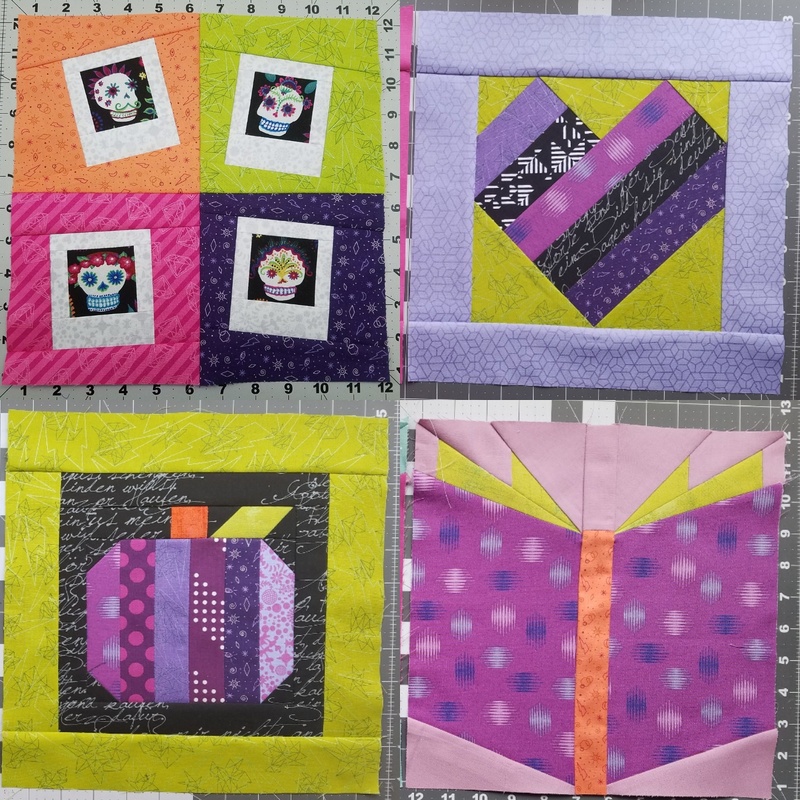 I also brought in 4 blocks from a Halloween quilt a friend and I are working on together. 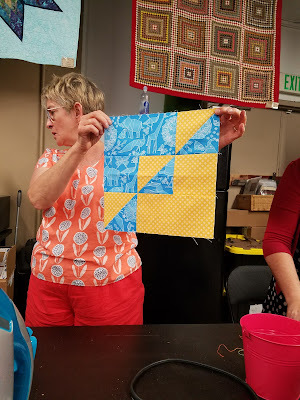 We're sewing the same blocks but each in different color palettes for our own quilts. Pictures taken from Instagram @stitchedconamor. Colleen brought in the finished quilt from the quilt top she showed us a few months back. 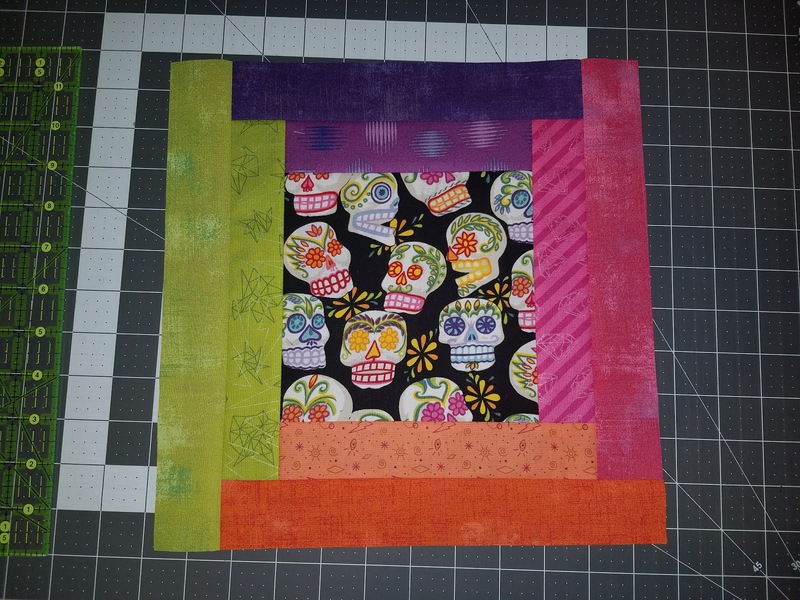 The 2nd quilt shared started as an idea in her head after the first QuiltCon. 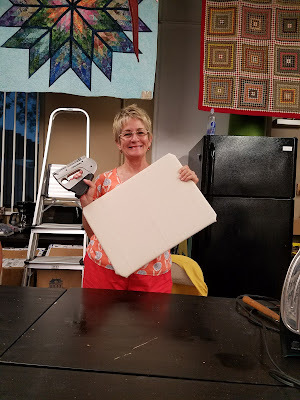 She started on the construction of it 3 years ago and is now finishing it. 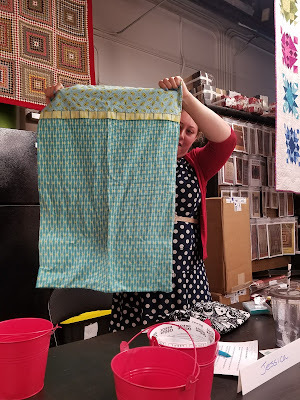 Brittany shared some cute little baby pillows she made for her baby on the way. Jessica shared with us a quilt made from Winnie the Poo fabric she bought over 20 years ago for her daughter. 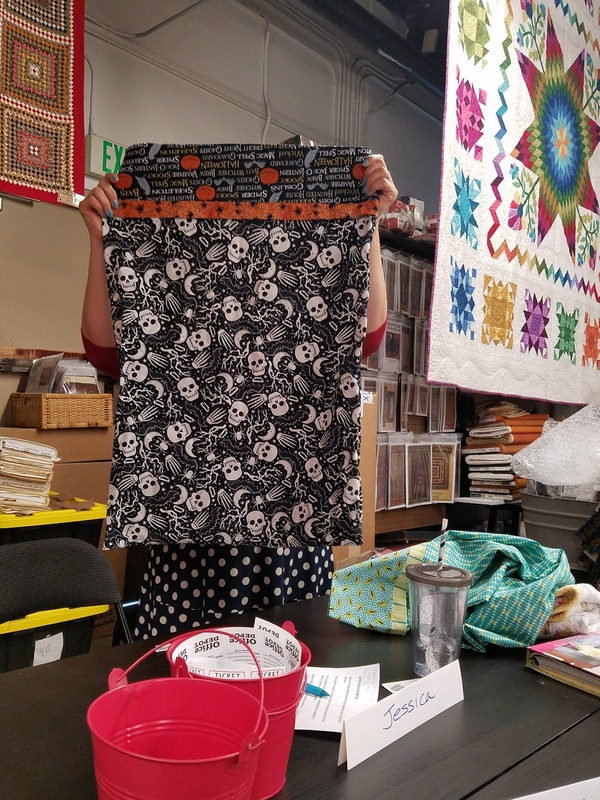 She also recently made a few pillow cases, including a Halloween one (which glows in the dark!). 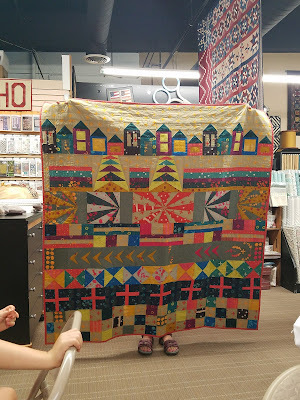 Susan showed us her fabulous quilt she did based on the 2016 Portland Modern Quilt Guild Row by Row. 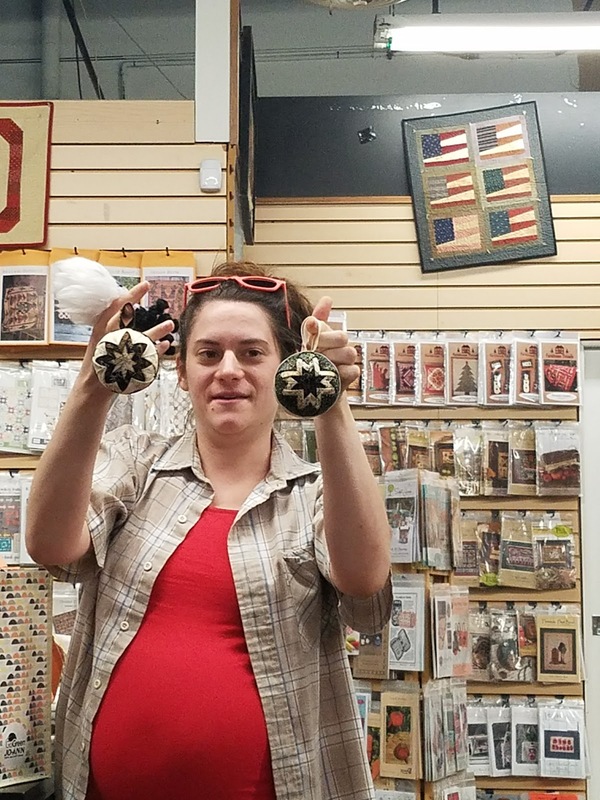 She improvised the rows to make it bigger. This month's demo was also brought to us by Susan. 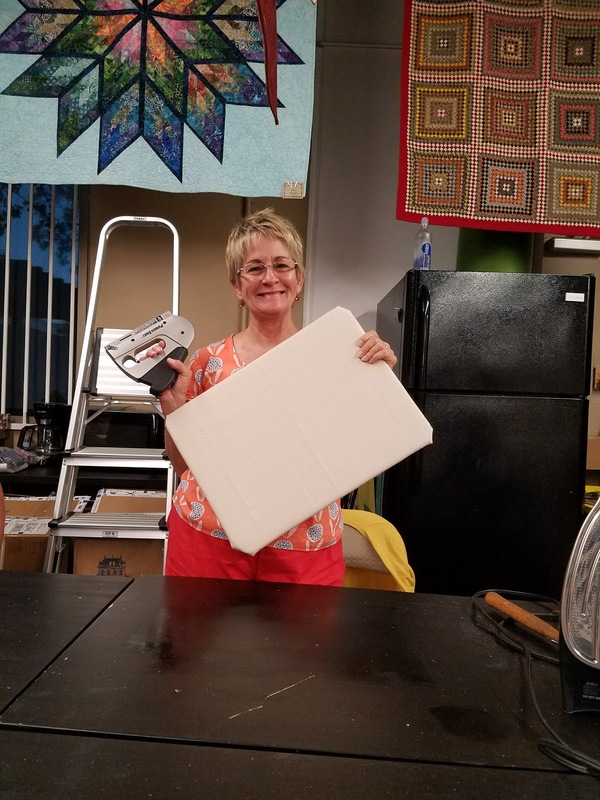 She demonstrated how to easily make your own presser board. 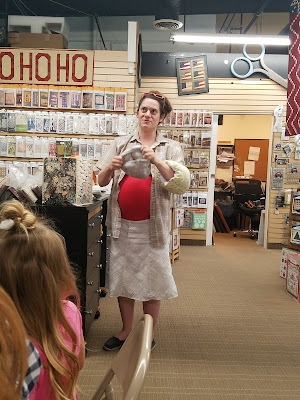 She referred to the DIY tutorial which can be found on the Sew Much like Mom Blog. 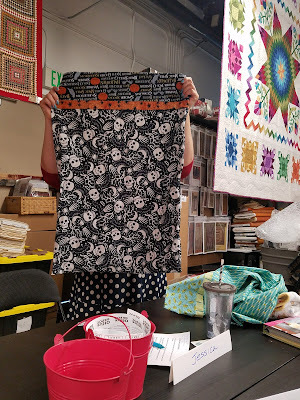 And lastly we had brought in fabric scraps for a swap. As you can see below there was lots of treasure to be found. 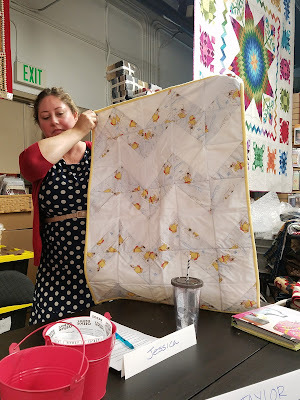 Fat Quarter bundle is Victoria Findlay Wolfe Quilts' new line "Light Work"
Hope to see you all again next month!